Arctic.ru has been looking into the tourism potential of the nature reserves of Taimyr, which encompasses an area of 10.5 million hectares. 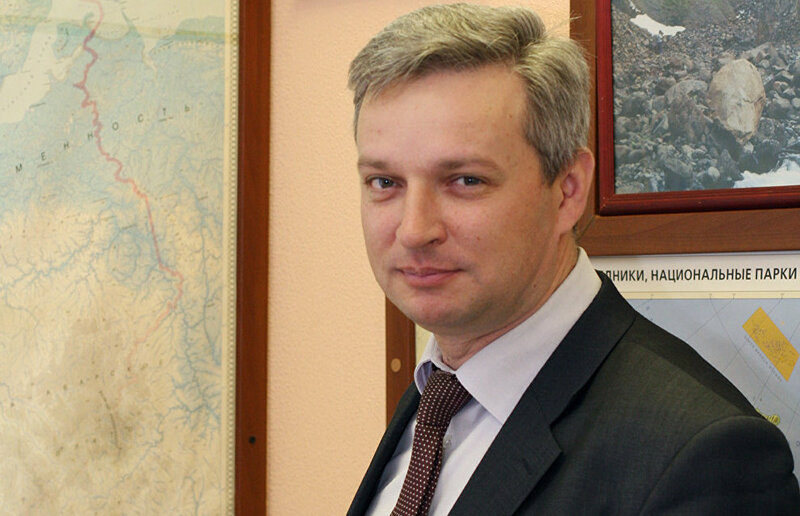 Taimyr Nature Reserves Director Viktor Matasov, in an interview, talked at length about how order is maintained across such a vast territory, what is required for quality tourism and why scientists keep coming here. Mr. Matasov, the territory of the Taimyr Nature Reserves is 10.5 million hectares, including buffer zones, as your website states. How is such a vast territory monitored? Do you often have to make onsite inspections? Indeed, the territory under Taimyr Nature Reserves' jurisdiction is vast. This creates certain difficulties, related mainly to its accessibility, as the overwhelming majority of places can only be reached by helicopter. Nevertheless, inspections and air patrols are carried out regularly. Often, in the course of one inspection, a large number of problems are identified: from scientific research to the delivery of technical cargo to support various areas of the reserve's activity. By using such integrated expeditions we kill several birds with one stone, if the director of a nature reserve can use that phrase. Could you explain what "buffer zones" mean in this case? Do they fall within the administration's jurisdiction? The buffer zone (it would be more correct to say "protection" zone) was created in its time to reduce the human footprint on the Putorana nature reserve. 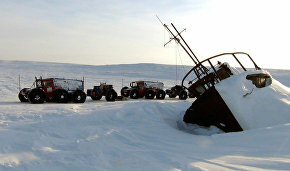 A part of its territory is accessible from Norilsk's public transit system. What are known as the Greater Norilsk Lakes have traditionally been a favorite recreation spot for residents of the region. In order to reduce the impact on the nature reserve, a protection zone was established, which certainly falls within the purview of the Taimyr Nature Reserves administration. Importantly, the conditions for visiting it and utilizing its resources are somewhat more lax than in other protected natural territories. How many people are employed in the nature reserve and how many of them engage in research? There about 100 people working in the administration, with almost one-third of them engaged in research projects. Do you collaborate with foreign colleagues? The Arctic territory is divided between several countries so maybe you share experience with your colleagues from other countries? Sure, this work has been going on for a very long time. However, the most important part of it is done in conjunction with Russian scientists, as specialists in our country, which has such a long Arctic border, are best prepared for working in Arctic conditions and in what is known as the Hypoarctic. The creation of tourism infrastructure has been a major issue in recent years. Tourism facilities have been established in some parts of your territory. What are the specifics of your territory? What can you offer tourists? How many people are involved in providing security? How are tourist expeditions organized? The specifics of tourism in Taimyr are the same as in other areas of our activity: large distances and inaccessibility from the transit system. Nevertheless, our specialists have developed eco-routes with delivery by helicopter and water transport facilities. We have set up several recreation zones in and around the Norilsk lakes, which can be accessed by water. This year an eco-camp on Lake Lama started working at full capacity and the construction of a base on Lake Sobachye is nearing completion. The tourist itineraries that we have developed are a priori safe. Nevertheless, we have staff members who are prepared to accompany tourist groups in more difficult conditions. They will ensure that all itineraries are safe. In addition, we also invite specialists from the outside. Tour guides and athletes from the Taimyr Researchers Club, an NGO, often collaborate with us, accompanying tourists and ensuring their safety. On the whole, it should be noted that the Taimyr Nature Reserves and the adjacent protected zones are truly unique. For example, in 2010, the Putorana Plateau was put on the list of UNESCO World Heritage Sites. The Taimyr Nature Reserve has been part of the World Network of Biosphere Reserves since 1995. Our territory features the tallest waterfall in Russia, wetlands included in the Ramsar Convention, relict lakes, unique animals and landscapes. So there are excellent prospects for the development of the tourism industry in our region. Exactly what do you offer tourists? 1. The Greater Norilsk Lakes system (recreation areas, excursions, corporate events, historical and ethnographic tourism). 2. The Putorana Plateau (VIP tours, extreme and adventure tourism, helicopter excursions, birdwatching). 3. The Puro-Pyasinsky district (birdwatching). 4. Lukunsky and Ary-Mas sections (Khatanga): birdwatching, ethnographic tourism. 5. Tsvetkov's Cape and Maria Pronchishcheva Bay: wildlife photography (polar bear, walrus), birdwatching. 6. Taimyr Lake and the River Shrenk (wildlife photography, adventure tourism). Cruise liners call at the Bolshoi Arktichesky and Severozemelsky nature reserves several times during the [tourism] season, with their passengers observing wildlife on the Arctic coast. At present there are a number of constraints on the development of exclusive tourism on Taimyr: the high cost and the lack of facilities commensurate with that cost. Even so, the outlook for the development of such tourism is good. The diversity of landscapes and the possibility to observe wildlife, including those on the red list of threatened species, makes Taimyr attractive to visitors. In 2013, an exclusive itinerary in the high-latitude Arctic, rafting down the Shrenk and Mamonta rivers, was tested. 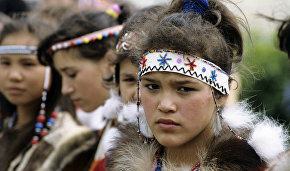 Another itinerary, "Taimyr Lake — Maria Pronchishcheva Bay," is under consideration. Since 2013, the administration has been working to ensure the preservation of natural systems as they are used for recreation purposes. What problems are there? What is being done? When do you expect to resolve the issue? Are there any results yet? The first results will become available closer to the end of the season, when material on the operation of the first eco-camp on Lake Lama I just mentioned is gathered and analyzed. However, one major problem is the easy accessibility of some recreation zones for unorganized tourists, when people who have, for example, a boat or snowmobile go to nearby lakes, illegally fish, leave trash, and so on. To minimize this negative impact, in conjunction with the emergency situations and civil defense administration and the inspectorate for small vessels, we have set up a joint checkpoint at the approach to the Norilsk lakes system. Inspections are also periodically conducted there. In recent years, Taimyr has emerged as one of the most developed parts of the Arctic, which is affecting its flora and fauna. Industrial transport lines and gas pipelines are being built and mineral resources are being prospected and extracted here. To date, the Taimyr Nature Reserves administration has drafted regulations on the protected zone of the Taimyr reserve in the Maria Pronchishcheva Bay and Cape Tsvetkov area. These regulations are currently being coordinated with concerned organizations. This zone will make it possible to protect walrus rookeries and polar bear concentrations, which are unique to the Arctic. Could you talk about research projects in the area? What attracts scientists to these nature reserves? What research is conducted there and how often? Every year, several expeditions set out to territories under the administration's jurisdiction. They include not only Taimyr Nature Reserves personnel but also our colleagues from affiliated associations and research institutes. There is a very broad range of specialists: ornithologists, ichthyologists, botanic specialists and many other scientists. By the way, this year, a moss specialist discovered two new types of moss. Such discoveries are made every year. This is precisely what attracts scientists — the biocenosis that is little studied due to inaccessibility and difficult climatic conditions and is therefore unique. Research under comfortable conditions can be conducted for only two or three months a year. There are some unique kinds of animals and plants in the territory, including those on the red list of species, which cannot be found anywhere else. These include, for example, the Putorana snow sheep or bighorn. To ensure effective research, our staff members have successfully restored several fixed-site bio-stations located in key points of the concentration of endangered species. These are the Willem Barents station in Medusa Bay in the Yenisei Gulf, the Pura station on the eponymous river, and the Ary-Mas outstation in the northernmost forest in Russia. Work is under way on the Putorana Plateau and an outstation on Lake Ayan is being restored. Years-long research has shown that as a result of the protection measures implemented over the past decade, the number of red-breasted geese has significantly increased. Do researchers from other countries often visit the territory? Researchers from other countries take an active interest in studying the area but many of our territories are also [state] border zones where a special regime is in place, which, however, does not fall within our purview. Scientists are attracted to the Taimyr protected territory. This is a region with a unique combination of natural systems. The Taimyr Peninsula is the northernmost continental territory and the most diverse territory in the entire Arctic. The complete set of landscape elements with the matching types of soil, vegetation, and wildlife systems typical of the Arctic are represented here. Importantly, none of the elements prevail to the detriment of others. The Taimyr Peninsula is the only place with a continuous range of natural systems from the northern taiga to the polar desert. This is the most coherent section of the continental tundra in the circumpolar Arctic. In addition, rookeries of walruses of the Laptev subspecies are located on the Laptev Sea coast. There are about 1,500 to 2,000 walruses in Maria Pronchischeva Bay and Tsvetkov's Cape. In conjunction with WWF Russia, we have carried out genetic studies of these animals. Since 1979, when the Taimyr Nature Reserve was established, and subsequently also Putoransky, Bolshoi Akademichesky and Purinsky reserves, animal and bird observations have been regularly conducted there both by Russian and foreign zoologists, ornithologists, geo-botanists, entomologists and other specialists. Foreign specialists from the United States (Alaska), Canada, the UK, Japan, Germany and the Netherlands have worked at our bio-stations. The diverse and very attractive wildlife and unique landscapes were used as a set for several popular science films by well-known directors and scriptwriters from Russia and a number of other countries. I would particularly like to mention the wonderful film by the UK producer Richard Kemp, The Land of the White Fox. The film shows the entire biodiversity of the Purinsky nature reserve. A key element, of course, are the background scenes of this unique territory: red-breasted goose, peregrine falcon, snowy owl, reindeer, lemmings and other species that appear in these films.